The Walking Dead is an episodic video game series based on Robert Kirkman’s award-winning comic books. Season One of The Walking Dead won over 90 Game of the Year Awards. Season Two continues the story that began in Season One. 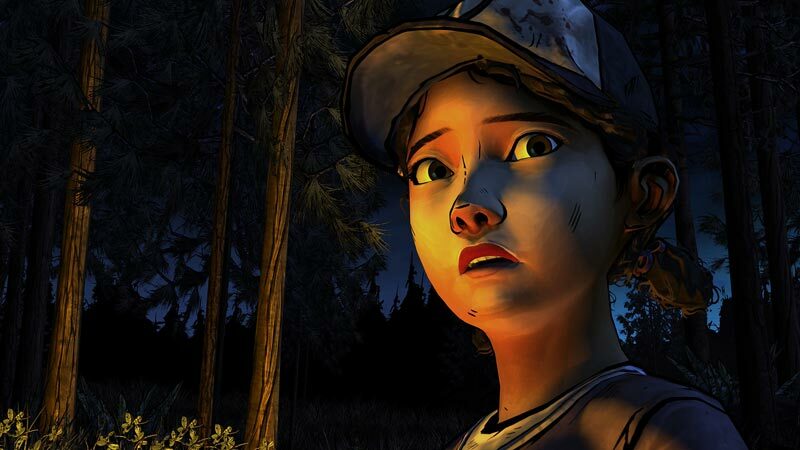 You are Clementine, a young survivor in a world gone to hell. The dead have risen to feast on the living, and the living cannot be trusted. 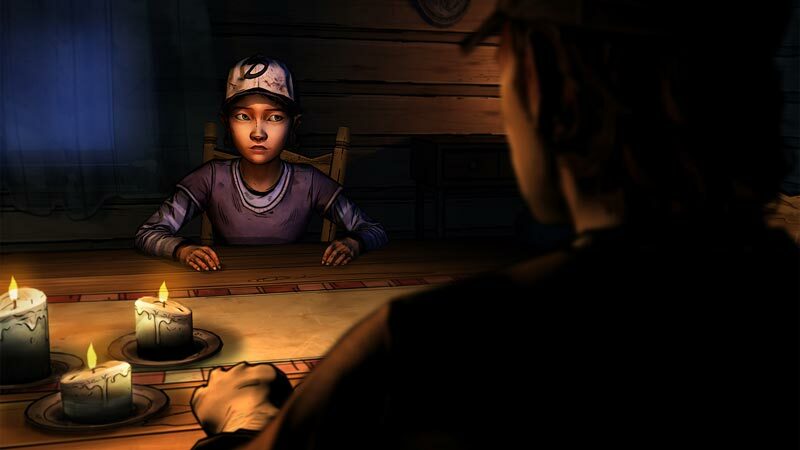 The story you experience in The Walking Dead Season Two is driven by the choices that you make. Because of that, your story could be very different from someone else’s. If you played Season One and the DLC episode ‘400 Days’, the choices you made there will affect Season Two. The true crux of All That Remains is the lack of hope. It doesn’t set up the second season as well as the pilot episode did for the first, and overall it’s the weakest episode yet. It’s still a good, engaging and emotional experience, just one which doesn’t quite get the ball rolling enough and misses the mark at points where it could’ve been truly brilliant. Season 2’s premiere of The Walking Dead is predictable in good and bad ways — its character drama is strong, its technical prowess is not. Clementine’s character development highlights the fact that she was a secondary character, someone to look out for, in the first season. Here, she’s come into her own, learned from the Lee Everett we knew more about, and is stronger than she’s ever been — both as a person and a story’s subject. 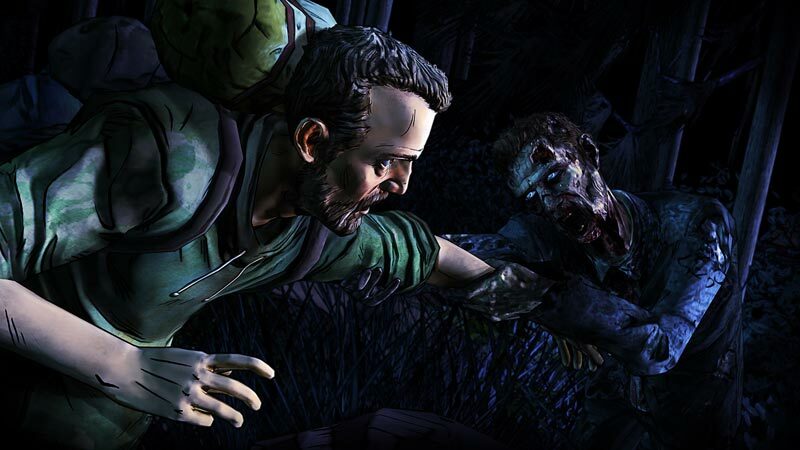 Despite its flaws, The Walking Dead: season 2: Episode 1 is still an outstanding game. It still makes you feel for its characters in ways no other game on the market does. It’s still one of the best examples of games as art our industry has to offer. In fact, this is perhaps the best piece of zombie fiction available right now. Yes, better than World War Z. Yes, better than Night of the Living Dead. If you are a fan of zombie fiction in general, you owe it to yourself to play this game. 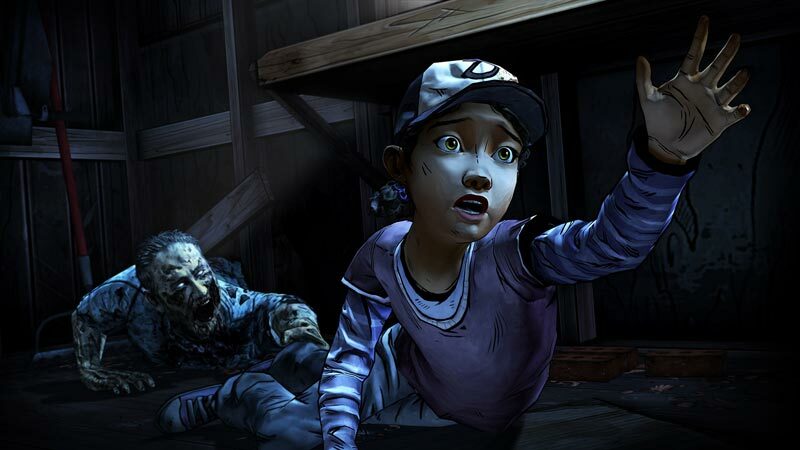 Telltale also found new ways to surprise and just when it appears like you have a grasp on what’s happening, the circumstances completely change. Episode one not only reintroduces us to the world of The Walking Dead, it raises the stakes in such a way that Clementine’s situation is more perilous than ever. We weren’t convinced that season two could eclipse season one, but at least in a few ways, it already has. 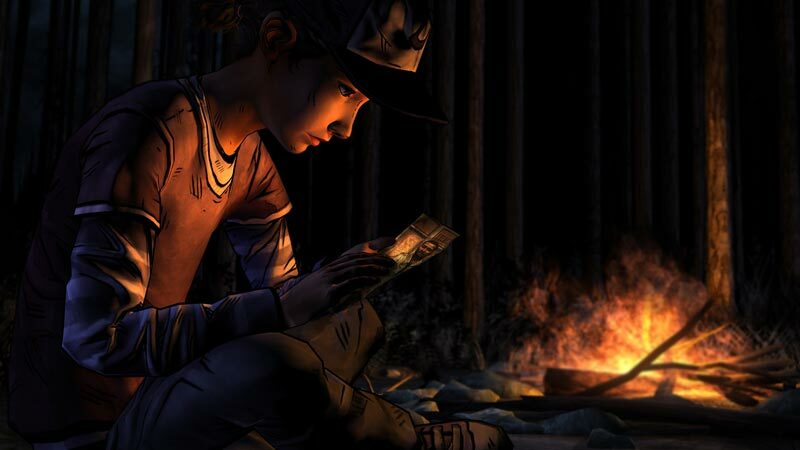 Ver el cambio y madurez de Clementine, más superviviente que una simple niña pequeña, ciertas decisiones desagradables pero necesarias, un par de momentos de acción brillantes y un nuevo elenco de personajes muy variados y llenos de matices son la carta de presentación de “All That Remains”, un capítulo que sirve de introducción para ponernos en contexto y poder arrancar en el segundo episodio. 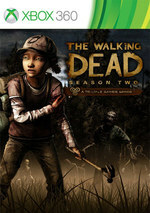 The Walking Dead Season Two nos ha sorprendido de nuevo con un gran diseño de personajes, una buena porción de historia y unos momentos realmente sobrecogedores. Su uso del color es de los mejores y los nuevos protagonistas tienen potencia, aunque sigue adoleciendo de unas animaciones toscas y una jugabilidad simple. 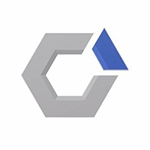 En cuanto a la trama, seguimos esperando que tanto nuestras acciones pasadas como las futuras empiecen a tener un impacto real. Ahí es cuando la verdadera magia surgirá efecto. The Walking Dead kann nicht noch intensiver und emotionaler werden? Kann es doch! Zumindest empfand ich die erste Folge der zweiten Staffel so. Bedenken, dass Telltale hier irgendetwas zugunsten eines Kindes als Hauptcharakter verweichlicht, zerstreut man praktisch schon innerhalb der ersten Minuten. Wie man es nicht anders kennt, stellt The Walking Dead auch mit dem Start der zweiten Staffel eine Achterbahnfahrt der Gefühle dar, bei der ich gar nicht anders kann, als mitzufiebern und mitzuleiden. Bravo, Telltale. Telltale a préféré ici se concentrer sur Clémentine, son évolution, l'équilibre instable entre l'innocence de l'enfance et l'indispensable cynisme de la survie d'une gamine qui commence à en avoir ras la casquette de s'en prendre plein la tronche. L'exercice est réussi, et malgré une fin abrupte, c'est avec joie qu'on retrouve cet univers, qu'on remet les pieds dans l’ascenseur émotionnel de Telltale. Het emotionele en indrukwekkende verhaal wordt moeiteloos voortgezet en met Clementine in de hoofdrol krijgen we een nieuwe kijk op de vergane wereld van The Walking Dead. Mocht je nog nooit een aflevering gespeeld hebben, dan raden we het je toch aan om eerst het (overigens geweldige) eerste seizoen te spelen. De band die je daar met Clementine opbouwt is nu al enorm belangrijk, en wij kunnen je haast verzekeren dat dit in de toekomstige afleveringen alleen nog maar belangrijker gaat worden. Laten we hopen dat we snel aan aflevering twee kunnen beginnen.